Boredom is not part of Audrianna Shaw’s daily routine. The ever-busy Coupeville Middle School 7th grader jumps between four sports (she plans to trim it down to three by high school) and enjoys them all. “I like being an athlete because with practices and games you can never be bored and you can always stay fit,” Shaw said. She plays volleyball and basketball through CMS, as well as youth soccer and little league softball, with plans to shed volleyball once she hits CHS (since it would conflict with soccer in the fall). 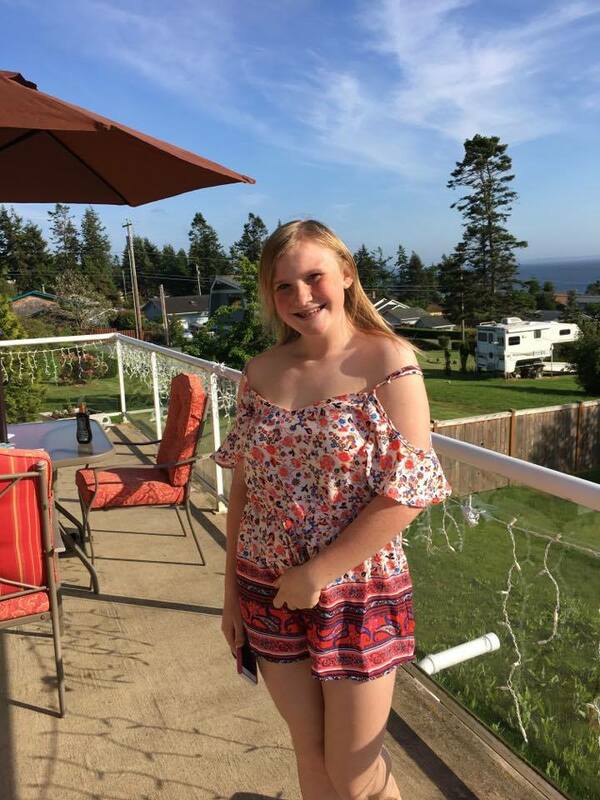 Put her on the softball diamond, where she swings a strong bat and wields a slick glove at third for the Central Whidbey Adrenaline juniors squad, and she comes into her own. As she assesses her skill-set, she’s realistic but firmly set on becoming the best she can be. Most of all, she wants to be part of a group which leaves behind its own solid piece of the Wolf legacy. “As of right now I don’t think I have strengths,” Shaw said. “I would like to work on all areas so I can be a very well-rounded athlete. Away from the field or court, Shaw “loves listening to music, relaxing and hanging out with my friends in my spare time,” while also staying focused on “keeping my grades up.” Math and history are her favorite classes. Whether in the classroom or playing a sport, she draws support from friends and family, something for which she’s very grateful. Help Coupeville High School restore 116 years of athletic history by installing title boards like the ones Oak Harbor has in its gym. 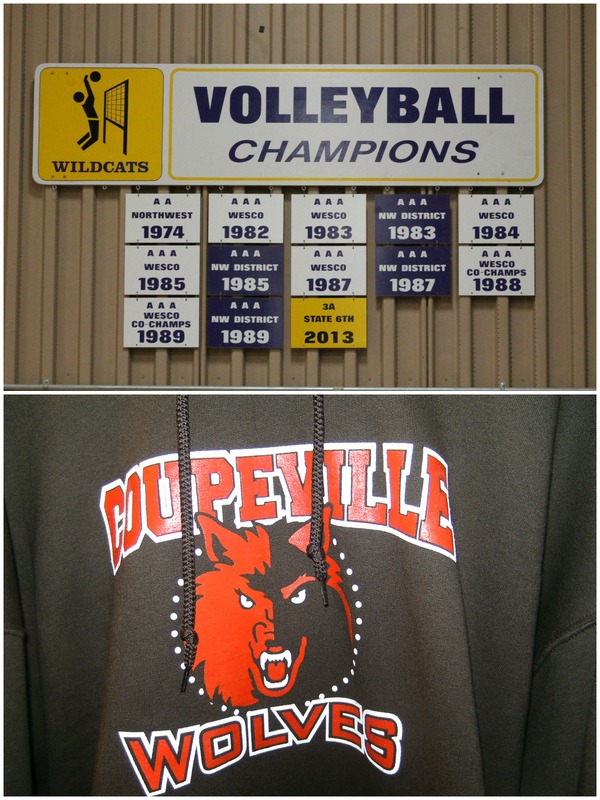 Help us restore Coupeville High School’s rich athletic history! The Wolves have stood tall on the prairie for 116 years, but you might not know it from looking at the championship banners hanging in the CHS gym. Currently there are just a handful on display, stuck off in the corner, and they don’t go back beyond 1990. Even those are far from complete, basically omitting virtually everything the highly-successful Wolf tennis programs have accomplished in the last two decades. But we’re not here to assign blame. The past is the past, and we’re looking to the future … while, um, embracing the past. Working in conjunction with Jim Waller and Keven R. Graves at the Whidbey News-Times, I have spent several months tracking down a far more comprehensive history of what Wolf athletes and teams have accomplished from 1900-2016. The plan I have spearheaded, and which school administration, the Booster Club and others have joined in on, is to replace the handful of dusty banners. In their place will rise a gorgeous new display of 109 title boards which will showcase four things — all league and district team titles, top 10 team finishes at state and the school’s 17 individual state titles. The style of title boards we will use is similar to what our neighbors at Oak Harbor High School currently do, which is depicted in the photo up top. Using Coupeville colors, league titles will be on white boards, district titles on black and state accomplishments on red. Once put in place, the title boards will need little upkeep, can be easily (and inexpensively) added to in years to come and will restore a true sense of history to our gym. Since they will hang on the wall opposite the benches — a much more visible location than the current banner set-up — they will be the first thing seen by Wolf athletes (and their fans), as well as rival teams. They will offer current athletes something to aspire for, honor the accomplishments of those who came before (in many cases, direct relatives of those now playing) and serve as a warning to those who dare to enter the CHS gym carrying another school’s colors. The school’s booster club has agreed to pay $2,500 towards the initial expense of having the boards created and installed. They have also set aside funding for adding title boards in years to come. But, going from zero to 116 years of history is a big jump to make, and we’ll need to raise the remaining money needed. That will fall in the $2,500-$3,000 range. We want to have these installed before school starts in September, kicking off the 2016-2017 school year with a real bang. I firmly believe there are enough current and former Wolves out there — athletes, coaches, parents, grandparents, fans — who can, and will, come together to make this a reality. Please consider joining us on this mission, either with a donation or by sharing this story or the GoFundMe link. Let’s put the growl back in Wolf Nation in time for opening night. We’re gonna need a bigger gym!! 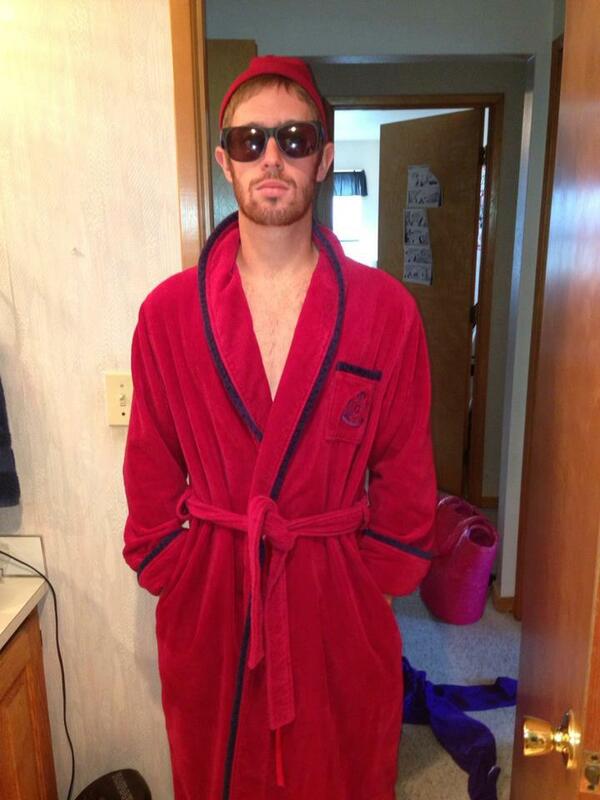 The most decorated male athlete in CHS history — five-time state champ Kyle King. 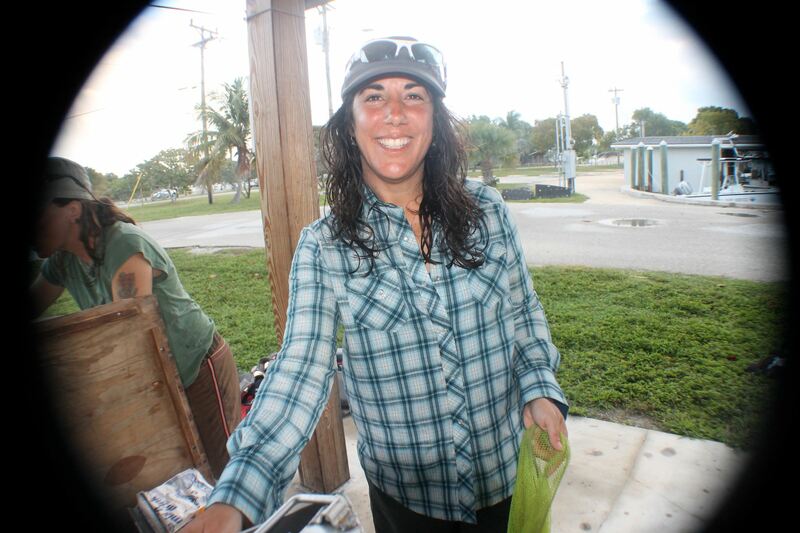 Natasha Bamberger, the only Wolf to win five state titles completely on her own. That’s what I’ve come up with. So far. Never having been satisfied with the small amount of banners that hang in the Coupeville High School gym, I decided recently, with the help of Jim Waller, Keven R. Graves and the Whidbey News-Times archives, to see if I could get a better read on the history of Wolf sports. What I have come away with is about 100 (give or take one or two) more titles than what currently hang in the gym. Now, this is not meant to be a slam on anyone in the school administration. It doesn’t matter who let the history slip away, or when it happened. But we are the generation that can save it. If we move forward and restore the lost accomplishments, we can honor the past and inspire the future. As we move forward, I’ll continue to talk to those who actually make these kind of decisions (administrators, school board, Booster Club), figure out what it would cost, how we could make it happen and all that jazz. But, for the moment, let your eyes wander down the list. 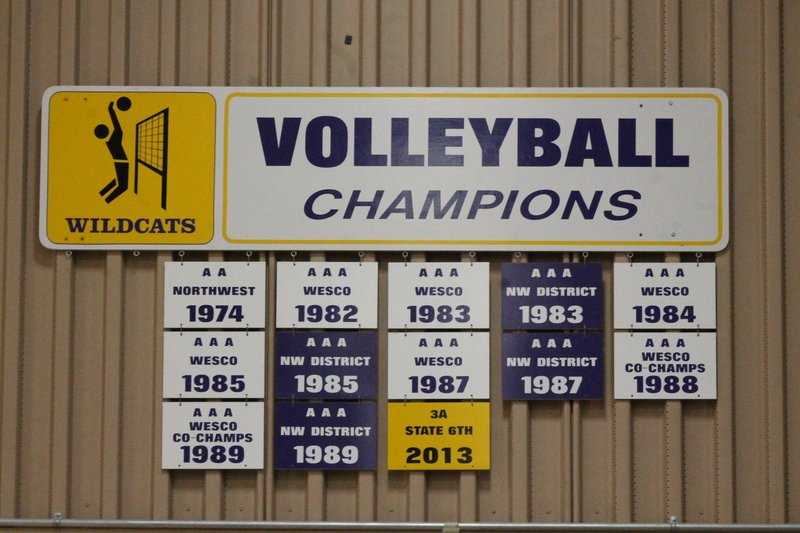 21 teams that placed at state (top 10), topped by three (2002 softball, 1987 baseball, 2005 girls’ tennis) who finished as high as 3rd — and yet two of those teams (baseball and tennis) do NOT have banners currently hanging. 17 state titles. 15 in track (14 individual and one relay team) and two in cross country — won by six guys and two gals. Fact-check me. Did I miss something while going cross-eyed? It’s possible. Or just bask in the history of our little school on the prairie.